I have a buddy of mine that had a transplant with Feller about 10 years ago. His results are very decent. Only thing he’s looking for is to create a more natural “feather-like” hair line. In fact, Feller gave him one of the best crown procedures I’ve seen to date (mind you this was FUSS - Strip surgery). He doesn’t want to drop the hair line AT ALL. But he does have some gaps in there (very very few) and the bottom of the hairs are kind of pluggy (ONLY to the experienced eye). I think this is largely due to the loss of his own hairs behind the hair line in the past few years giving his transplanted hair line a “see-through forest look”, which exposes each hair much more. He fears wasting donor hairs! My suggestion was he uses some nape hair just to go inbetween his hair line hairs. The only two clinics I can suggest that can deliver this in the USA is respectively Dr Cole and Dr Umar. Feel free to suggest who else may have great success and experience using nape hair. I suggested my surgeon to him (Armani) but he’s not leaving the US (criminal record prohibits him leaving especially while on parole). 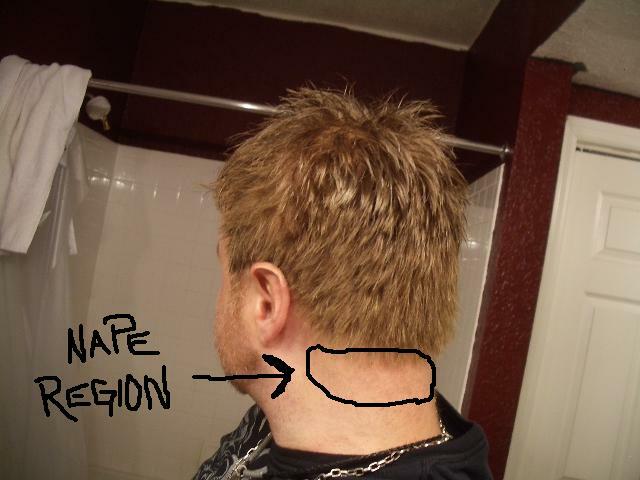 If you guys even have some before and after photos with nape hair results please post 'em. I’m guessing roughly 500 grafts… not sure if 500 grafts can be pulled form the nape hair. ALSO, will fue scars be visible at the nape area?? nape means the back of the neck! I would say Dr. Umar does some excellent work with nape hair. I’d also like to know who else uses nape hair…Umar and Cole can’t be the only ones. I guess since he cant come out of the US, so its pointless, but maybe for some other patients Dr. Ruby is quite competent. I trained her very shortly after training Dr. Umar. I did not know that you train Dr Umar. umar?? I went to him for a consult, if you go to him with a case only of 500, 600 or so grafts he will immediately discard you arguing, your case does not interest him. Literally, if you don’t go to him for one of those ridiculous big 7000-15000 graft cases that end up costing some of the patients well above $100,000 he will not take it. Also, for the results he gets, he uses far too many grafts (compare to other clinics that do BHT). Tell your friend to behave for a while, to stop misbehaving and then to go either to Cole, Arvind, Bisanga or Woods.